Limo hire Cardiff, Newport, Bristol, Bath, Pontypridd and Gwent. 'Hummer' limos and wedding cars for all special occasions. 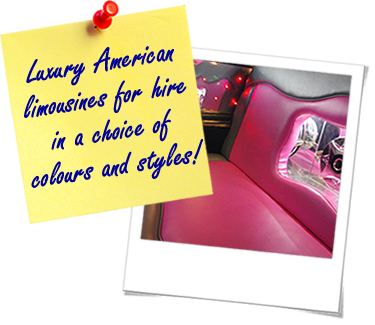 Choose from a range of exciting and colourful stretched limousines! Classic and modern wedding cars for hire. 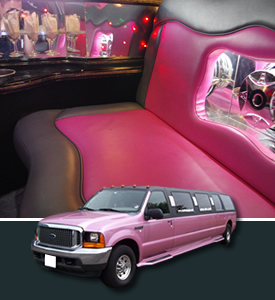 NIGHTS OUT WITH CARDIFF LIMO HIRE! Great for hen and stag weekends, birthdays and nights out with friends! We have a range of modern limousines for hire in Cardiff, Newport, Bristol, Pontypridd, Bath and surrounding local areas, available in a choice of colours, sizes and styles all designed to add luxury and excitement to any special occasion. 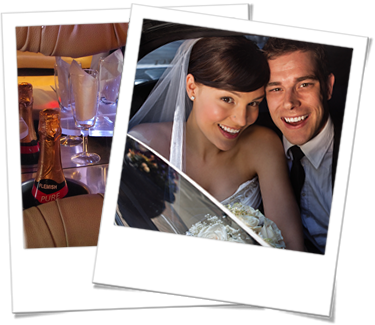 Our limousines have been custom-fitted with fun features such as disco lighting, strobes, high quality audio systems and bar areas with glasses and ice buckets. 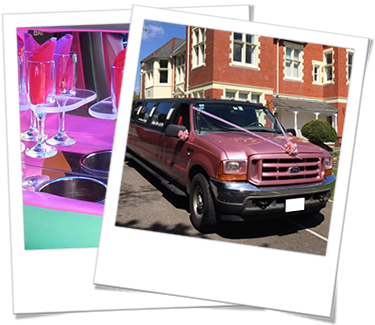 Serving the local area for almost twenty years, The Limo People Ltd are a family-run business providing limousine, wedding car and luxury minibus hire in Cardiff, Bristol, Newport, Bath, Caldicot, Bridgwater, Taunton, Weston, Barry and all areas in between. Our door-to-door service is provided by professional chauffeurs with excellent local knowledge, driving a fleet of well-maintained, reliable vehicles. Our best references are our customers, and we're proud of the large number of repeat bookings we receive from existing clients. A warm welcome always awaits you whenever you travel with us! 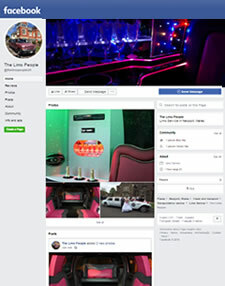 Serving the local area for almost twenty years, The Limo People Ltd are a family-run business providing limousine, wedding car and luxury minibus hire in Cardiff, Bristol, Newport, Bath, Caldicot, Bridgwater, Taunton, Weston, Barry and all areas in between. Our door-to-door service is provided by professional chauffeurs with excellent local knowledge, driving a fleet of well-maintained, reliable vehicles. Our best references are our customers, and we're proud of the large number of repeat bookings we receive from existing clients. 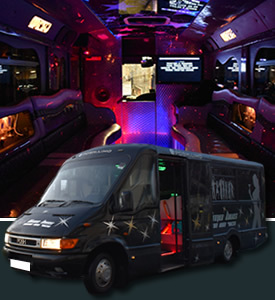 Our cars and minibuses are booked for a variety of special occasions including hen nights, weddings, school proms, airport journeys, birthdays and nights out. To request more information, make a booking or find out what we can do for you, go to our 'Bookings' page and request more information about pricing and availability. We look forward to serving you soon! 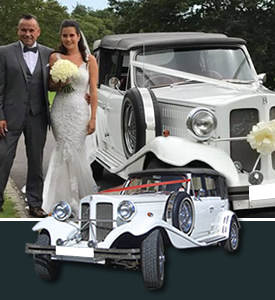 From an open-top Beauford Tourer to a huge American limousine in pink with 16 seats, our extensive choice of stretched limousines, party limo buses and chauffeur-driven cars in a variety of colours means we are certain to have a comfortable way to travel thats just right for you and your occasion. We understand the need to deliver value-for-money with every booking and offer competitive prices on all occasions. Every journey, driver and car is fully-insured and compliant with all local and national laws and regulations. From hen nights and weddings to 80th birthday parties and days at the races, we pride ourselves on delivering a punctual, professional service every time. Our limousines, wedding cars and wedding cars can be hired by customers in towns and villages along the England/Wales border area, including Bristol, Bath, Newport, Cardiff, Chippenham, Trowbridge, Chepstow, Barry, Caerphilly, Pontypridd, Cwmbran, Pontypool, Abergavenny, Aberdare, Caldicot, Bridgwater, Taunton, Weston-super-Mare, Crickhowell and Monmouth. Please go to our 'areas covered' page for more details. 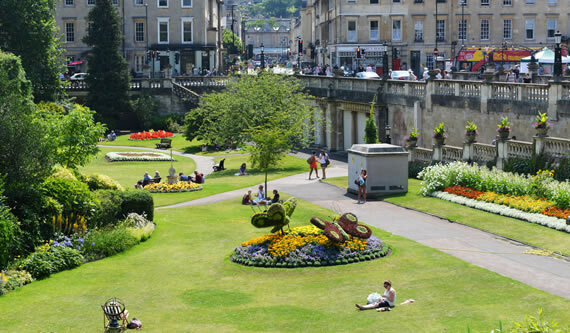 Designated a World Heritage site by UNESCO, the city of Bath attracts visitors from around the world, drawn to its outstanding historic architecture, art galleries, thermae spa, independent shops and rich choice of cafes and restaurants. Hire a limo as part of a day of culture and relaxation or as a celebration with friends or family! Bristol has a superb selection of nightclubs, bars, restaurants and wedding venues. Whether you plan to dine out at Whapping Wharf or Millennium Square or want to go clubbing until late at PRYZM, we have competitively-priced, luxury chauffeur-driven vehicles for hire, allowing you to arrive at your chosen venue feeling fresh and relaxed! 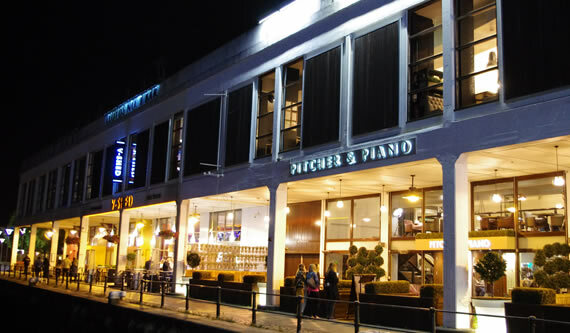 Cardiff is one of the country's favourite nightlife destinations and The Limo People are ideally located to serve the city's partygoers and visitors. 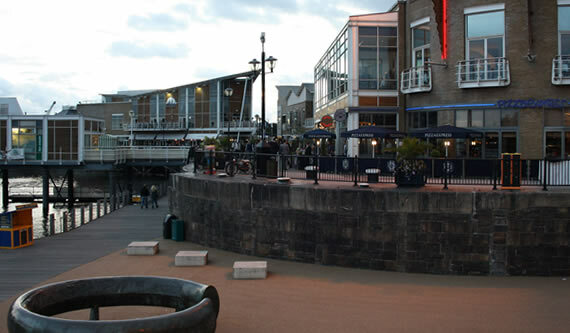 Celebrate an occasion in Mermaid Quay or dance the night away in one of Cardiff's many bars and clubs. 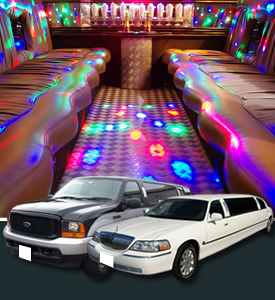 Book a limousine or party limo bus with us and travel in comfort with friends and loved-ones. 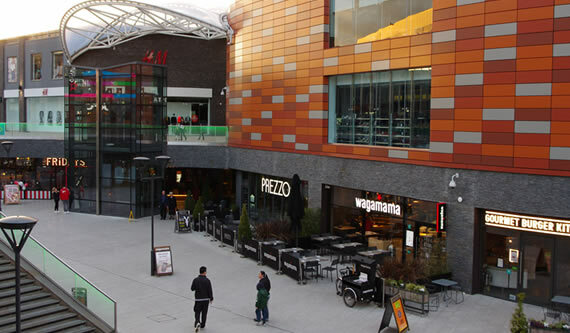 Newport has undergone huge urban regeneration in recent years and, like Cardiff and Bristol, is now a popular place to meet, party and relax for residents and the area's student population. With new bars and restaurants to visit alongside the established favourites, an affordable limousine ride is the ideal complement to a night out or special occasion! A local chauffeur car company offering limos, party buses and wedding cars for hire in South Wales, Glocs, Wilts and Somerset.